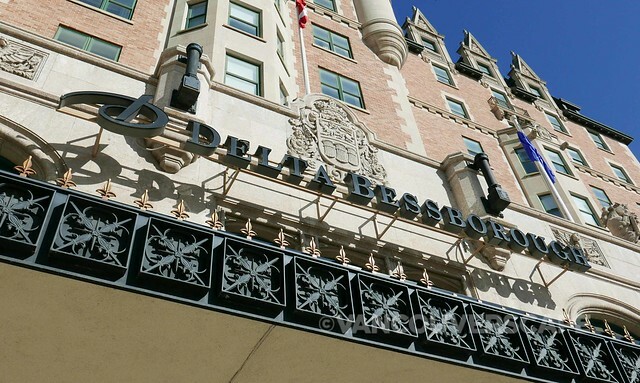 The Delta Hotels Bessborough, aka “The Bez”, owns a commanding spot right on the South Saskatchewan River. 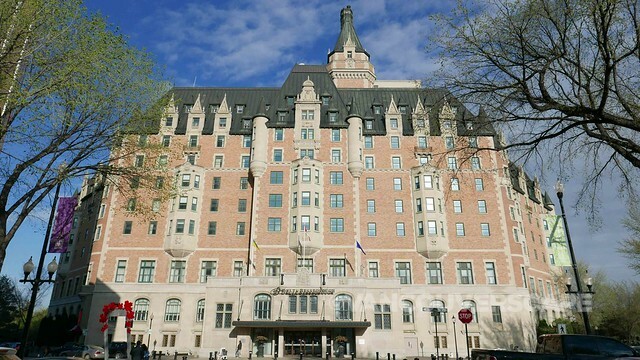 Built originally for the Canadian National Railway in the 1930’s, its ornate exterior is similar to that of many CP Rail/Fairmont château hotels across the country. 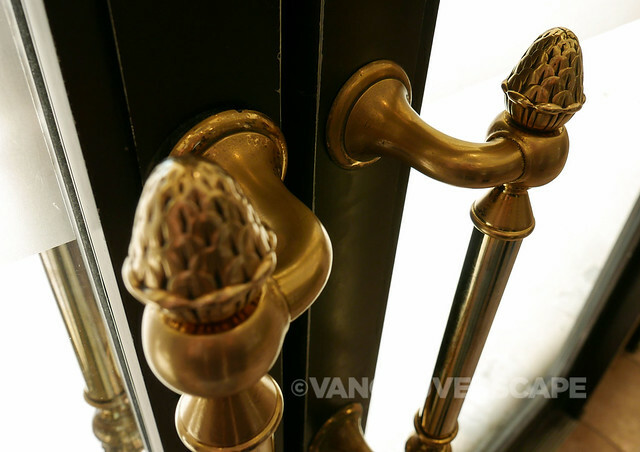 When originally opened, the Bez was considered the most modern and luxurious hotel in the Dominion, with phones, baths and showers in every guest room. 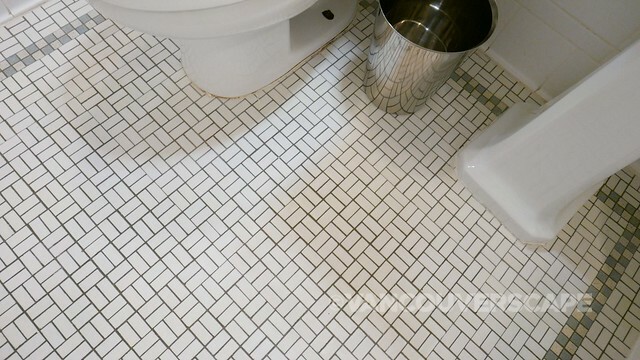 Bathrooms contain intricate mosaic tile floors which have been carefully preserved to this day. Around the building’s exterior, you can spot gargoyles, animals and emblems. 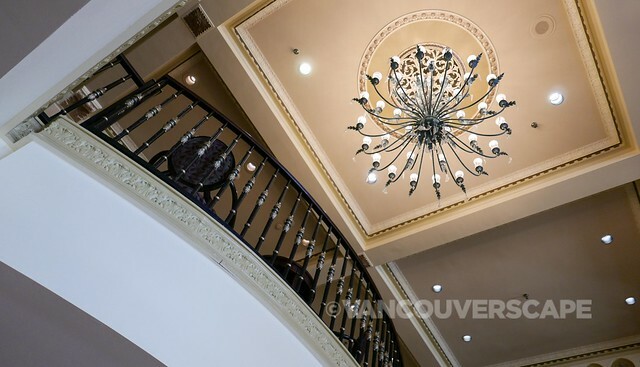 10 stories and 225 rooms make up this four-star property. With several restaurants, an indoor saltwater pool, fitness room plus five acres of private waterfront gardens (back in the day playing host to garden parties and croquet games), The Bez is well suited for exploring downtown Saskatoon and beyond. 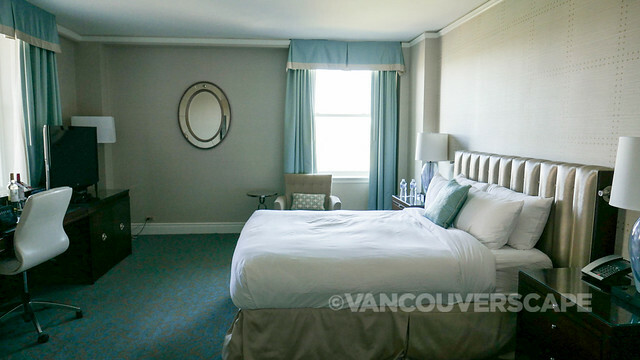 Rooms have cream coloured walls, pale blue curtains and chrome fixtures throughout. On each side of the bed are tiny reading lamps. 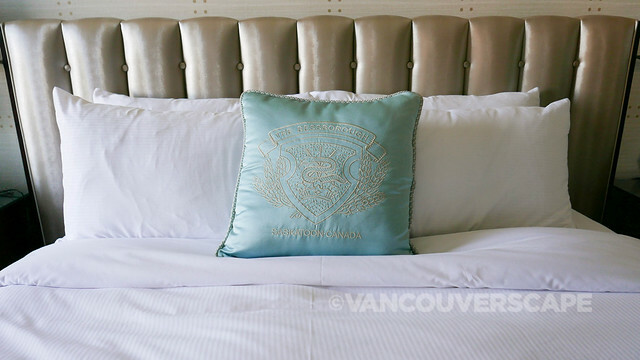 Matching night stands are accented with blue glass lamps while the tufted taupe satin headboard and embroidered, branded Bessborough pillow add luxurious touches. The long desk on the opposite side of the room has a working bank of outlets, assorted media and audio jacks plus a flatscreen TV (where you can set up Netflix and other on-demand subscription services). Below the desk is a two-door cabinet housing a mini fridge and additional shelf space. The large closet in the entry has a ton of space for hanging clothes, a full-size ironing board and iron, plus a chest of drawers with a coffee and tea-making service on top. The bathroom has a lot of space for essentials — and towels. Low-pressure shower heads and sink taps help conserve water while a few of the argan bath products contain a link to a charity donation source showing which charity the hotel has donated proceeds to. Bedroom windows open for fresh air in case you’re not interested in the airco system. 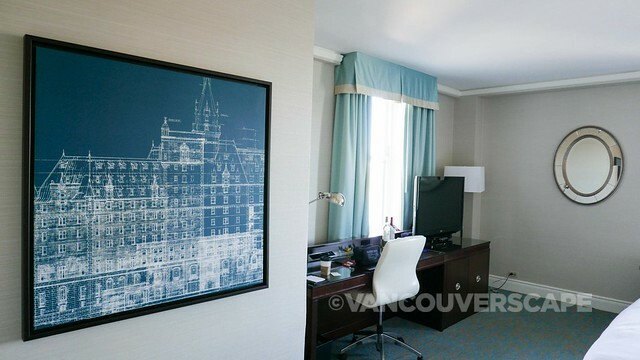 On one of the walls hangs a framed hotel blueprint, offering a nice burst of colour. 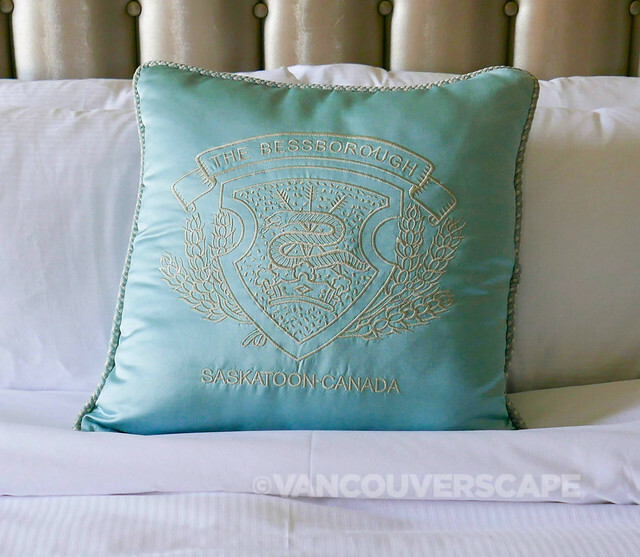 With all the modern amenities and design elements throughout the room, the only thing that feels out of date is the beige and blue patterned carpeting, ready for a refresh. 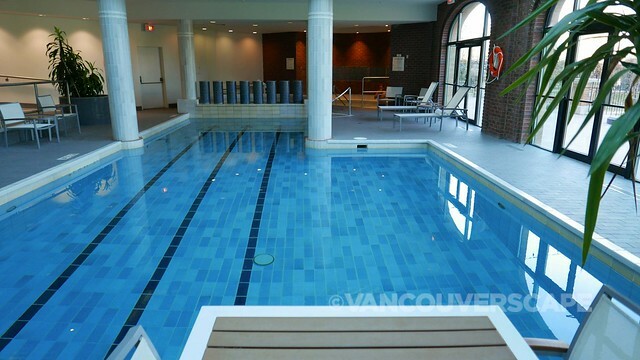 Otherwise, this is a comfortable space to call home for a few days. As dusk sets in, flocks of geese fly away for the night and the bridge and nearby buildings illuminate, adding a romantic element to the surroundings. For sushi and table-side teppanyaki, it’s Samurai for dinner. The Garden Court Café offers seasonal, locally-sourced dishes for breakfast (and lunch on weekends) with a river view. 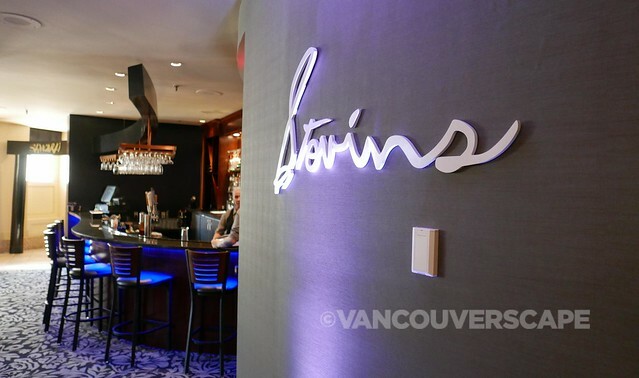 For casual appetizers and a variety of cuisines, Stovin’s Lounge (named after Horace Stovin, the hotel’s first registered guest) is open for both lunch and dinner. I didn’t have any meals at the hotel but as my room was on the Club Level, I made use of the Club Lounge at breakfast, where a buffet spread along with juice, coffee, pastries and toast is offered in the morning, and wine hour (5:30 to 7:30) with tasty appetizers in the late afternoon. 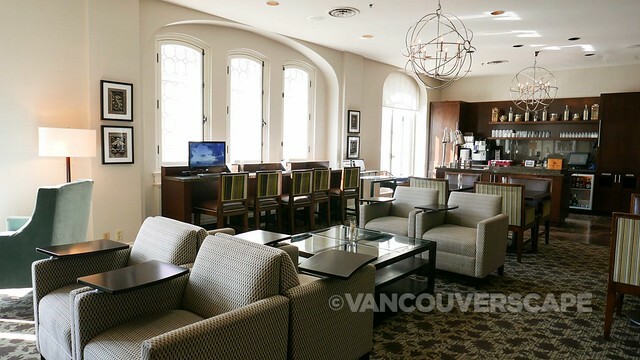 Coffee and (non-alcoholic) beverages are available all day. Once you’ve done a few laps in the saltwater pool and chilled in the jacuzzi, relax at onsite Damara Spa. Open by appointment only, their team can pamper and rejuvenate you with spa packages including body scrubs, wraps, facials, massages, manis and pedis, plus makeup and waxing services. 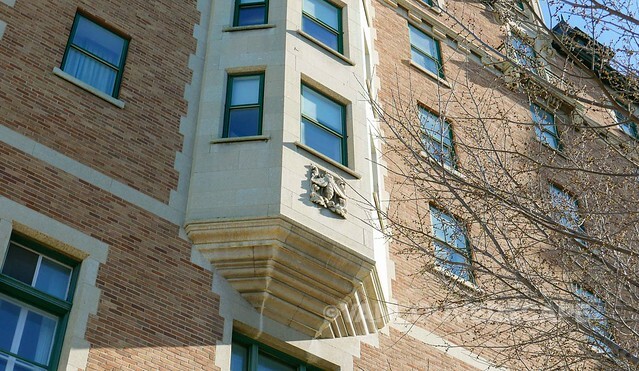 The Delta Hotels Bessborough (now part of the Marriott Hotel family) is located at 601 Spadina Crescent East in Saskatoon. My stay was compliments of Delta Hotels Bessborough and Visit Saskatoon. Opinions, as always, are my own.